J.J. Abrams Talks 'Star Wars: Episode 7' Tone; Has Chiwetel Ejiofor Been Cast? After the shock wore off from last year's news that Disney had acquired Lucasfilm and were committed to releasing new Star Wars movies every year, the conversation turned to the new creative forces driving the franchise. 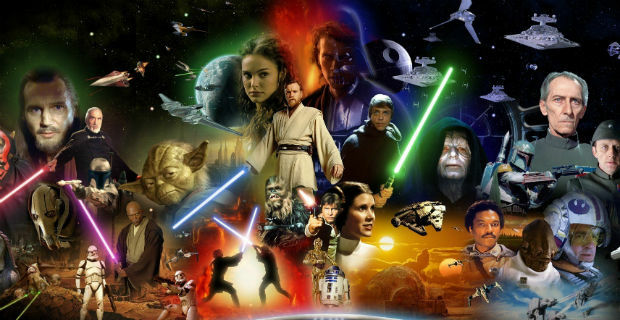 Despite a flurry of rumors, the facts remain: J.J. Abrams is directing Star Wars: Episode VII, targeted for a 2015 release (either in Spring/Summer or late 2015, depending on the rumor). Much of the early talk focused on the story, which is to be a direct sequel to Return of the Jedi. Toy Story 3 scribe Michael Arndt was working on a script based on material developed by creator George Lucas, but Arndt has since stepped aside, allowing The Empire Strikes Back screenwriter Lawrence Kasdan to step in to co-write with Abrams. These reports of behind-the-scenes shake-ups cast doubt on whether or not development was really far enough along to make a 2015 release viable, and a big recent story appeared to confirm this. Lucasfilm president Kathleen Kennedy had asked Disney CEO Bob Iger to push the release date of Episode VII back to 2016, which Iger flatly refused to do. This came just a few days after the rumor that in order to secure Harrison Ford's return as Han Solo, Disney and Lucasfilm green-lit a fifth Indiana Jones movie. All of which has diverted attention from the director himself, who is said to be “in sync with Iger’s desire” for a 2015 release. With that in mind, it seems fitting that we have some new thoughts from Abrams on his approach to the new film's tone and universe, not to mention a new casting tease. "I would say that [the video conveys] a feeling that we share very much." "I loved how 'Star Wars' had that sense of a world far beyond the borders of what you can see and have been told. It's one of the things it did so brilliantly. If you watch the first movie, you don't actually know exactly what the Empire is trying to do. They're going to rule by fear - but you don't know what their end game is. The beauty of that movie was that it was an unfamiliar world, and yet you wanted to see it expand and to see where it went." While the prequels tracked the rise of the evil Sith Lord Darth Sidious (formerly known as Senator Palpatine), and his manipulative - and ultimately successful - efforts to transform the Republic into the oppressive Galactic Empire, what about the aftermath of the Rebellion's destruction of the second Death Star at the end of Episode VI? The expanded universe of the extensive Star Wars novels delved into the fate of the Empire - has Abrams dropped a big hint about one of the possible plotlines of Episode VII? "A lot of kids who saw all the prequels when they were young really do identify with those movies as much as my generation identified with the originals." Were these new details from Abrams timed to divert attention away from the perceived development problems? Possibly, but given the amount of advance time needed to prep such a story, it could be a coincidence.